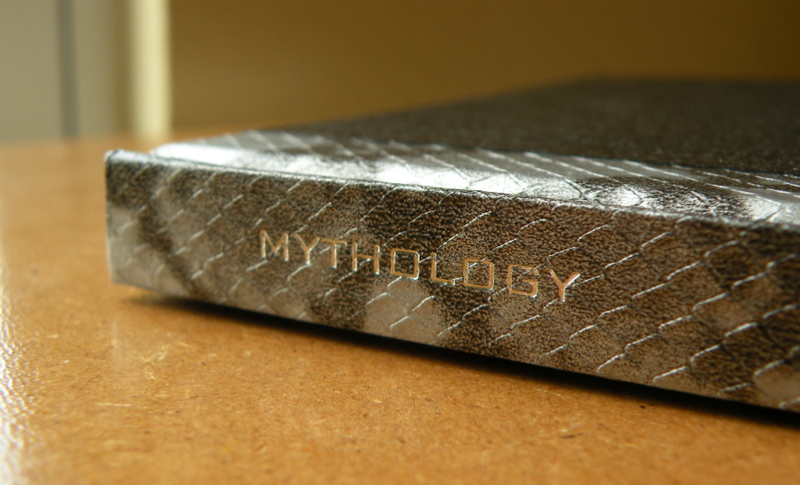 The Mythology notebook is…strange. No other word for it. Black is classy. Silver is classy. Black and silver metallic snakeskin, say, pants, on the other hand, would be questionable. So where does this notebook fall on that spectrum? 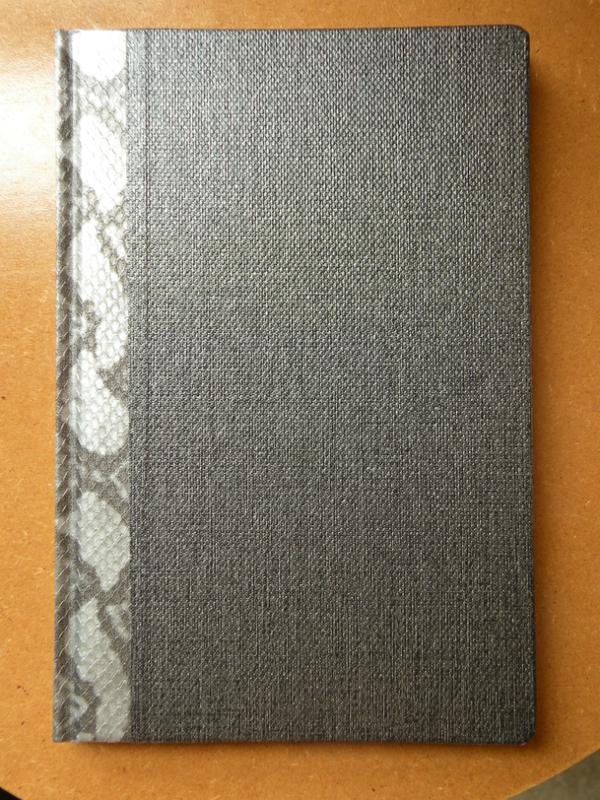 The duo-tone leatherette casebound hard cover features two types of silvery faux skin: snake, and who knows what (I can’t think of what animal has oval bump patterned skin, so we’ll say “miniature basketball”). 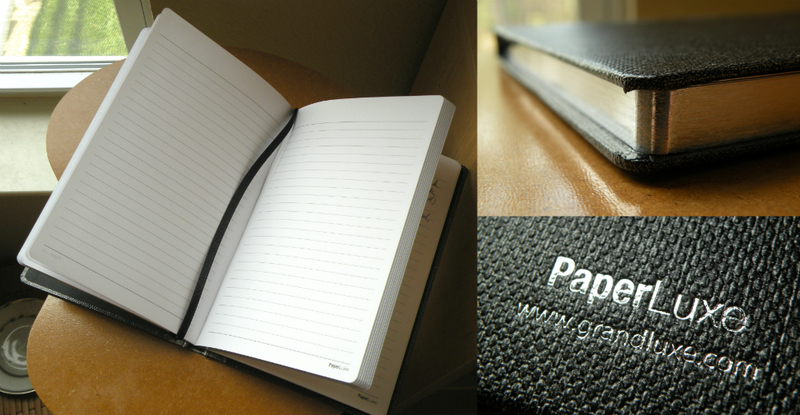 It feels durable, and the rounded corners are smart—helps keep them from getting banged up. You may be wondering how many shades of grey this notebook possesses, and I’m here to tell you it is NOT an erotically significant number. Like, maybe a dozen max. Between the decorations and the word “MYTHOLOGY” printed on the spine, I feel like I should be writing some kind of deitastic legends/fan fiction…I’m thinking “The Modern Mythology of Quetzalcoatl, the Feathered Serpent God / Goth Prince.” Part 1. The book-style hardcover is an interesting choice. I feel like I’ve checked out the World’s Weirdest Library Book. Normally I’m used to my hardcover notebooks being more…notebooky. I don’t know how I feel about it. I don’t think I’d use this to write out random lists, thoughts, etc. I’ll put my grocery list down in my daily Leuchtturm1917 but not in the Mythology. The paper is standard, not particularly fountain pen friendly unless you’re using lighter colored ink (like the J. Herbin Vert Pré) or magical ink (such as the Rohrer & Klingner Scabiosa Iron Gall ink). Finer nibs and writing in cursive also helps. Rollerballs, the few I have anyway, performed meh. Ballpoint, gel, and felt tips like the Sakura Pigma Micron are all good. If you’ve been looking for something completely different in the notebook department, the Mythology fits the bill.